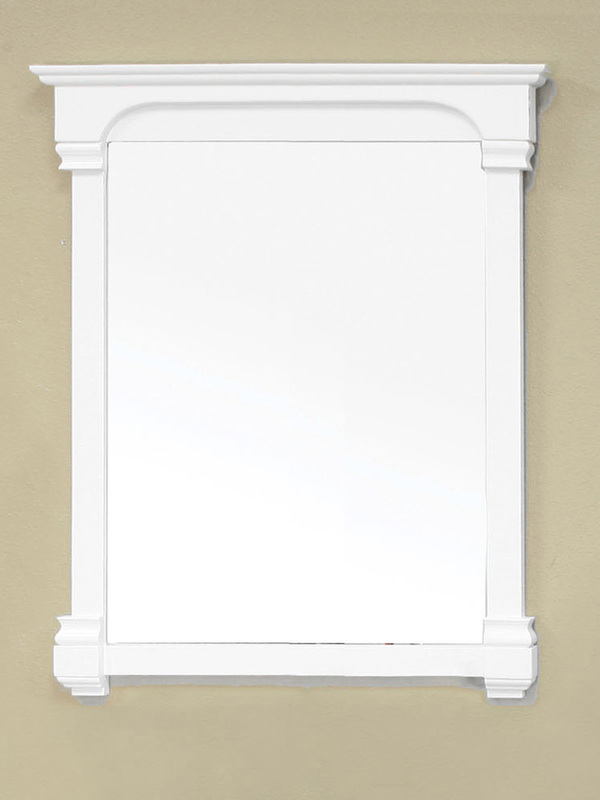 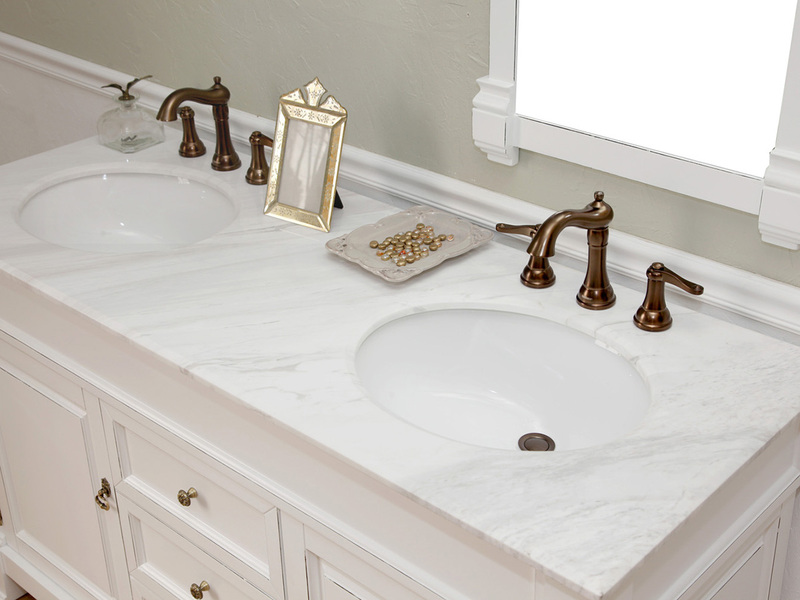 The Helena Double Vanity will brighten up any bathroom with its white finish and marble counter top. 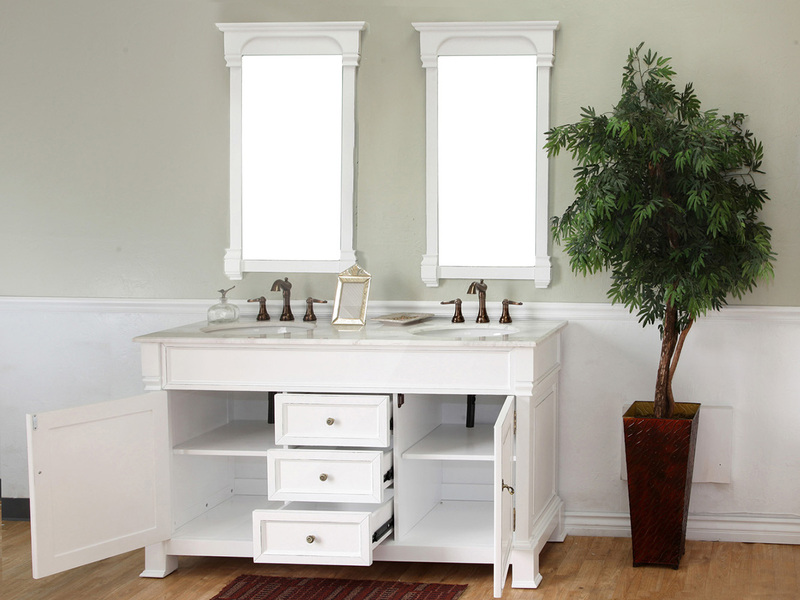 Its charming traditional design is achieved by its simple beveled features and rubbed edge finish that gives the vanity some character. 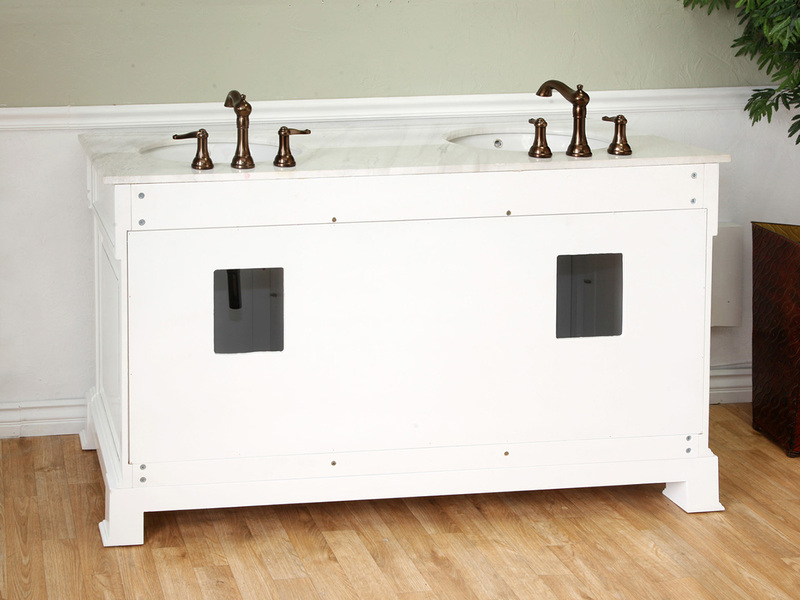 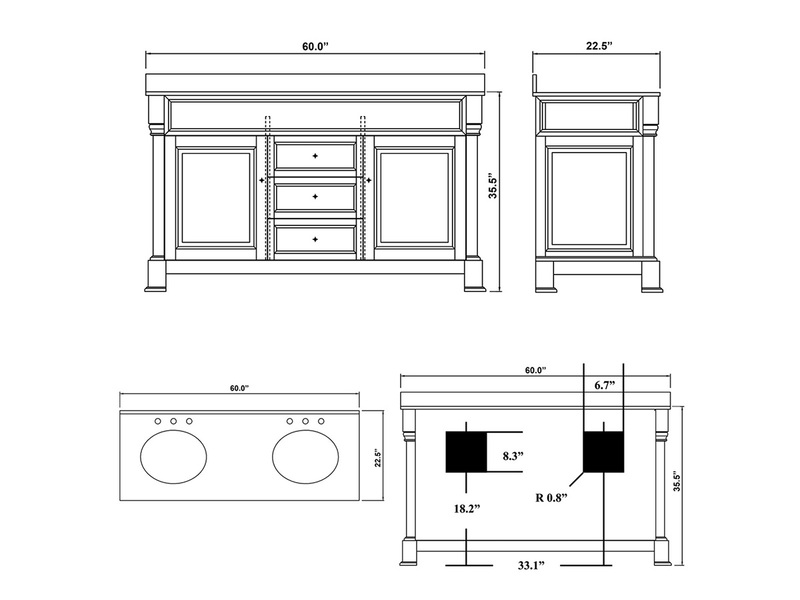 Conveniently, the two cabinets and three fully extending drawers provide plenty of storage for your bathroom necessities. 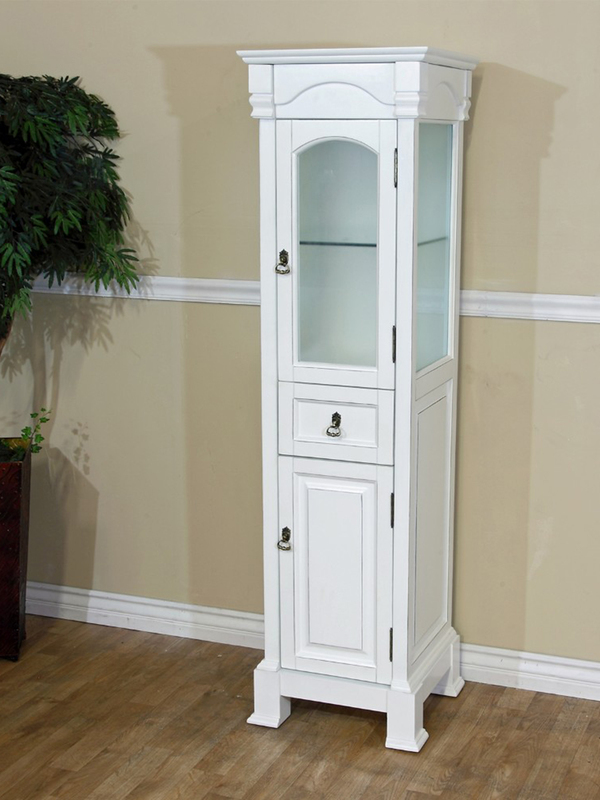 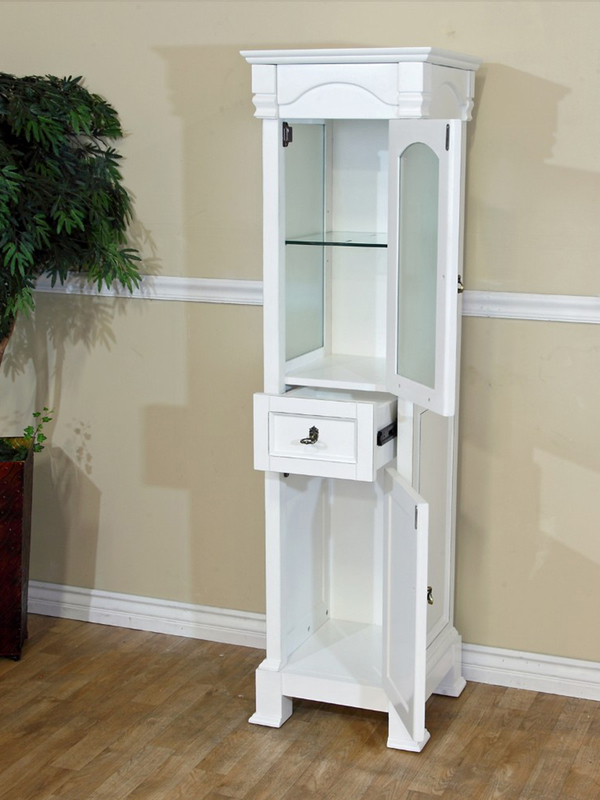 The solid birch wood cabinet is protected against humidity by its water proof finish, preserving the shape and integrity of the cabinet. 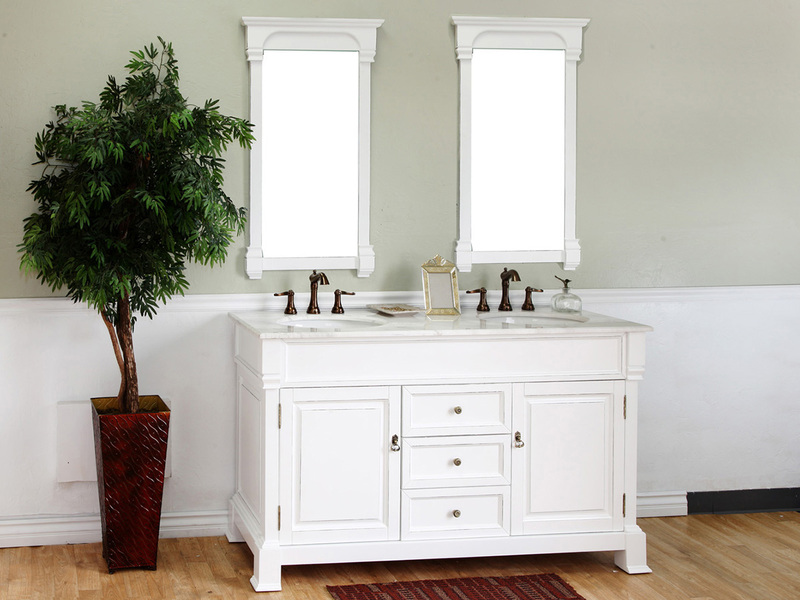 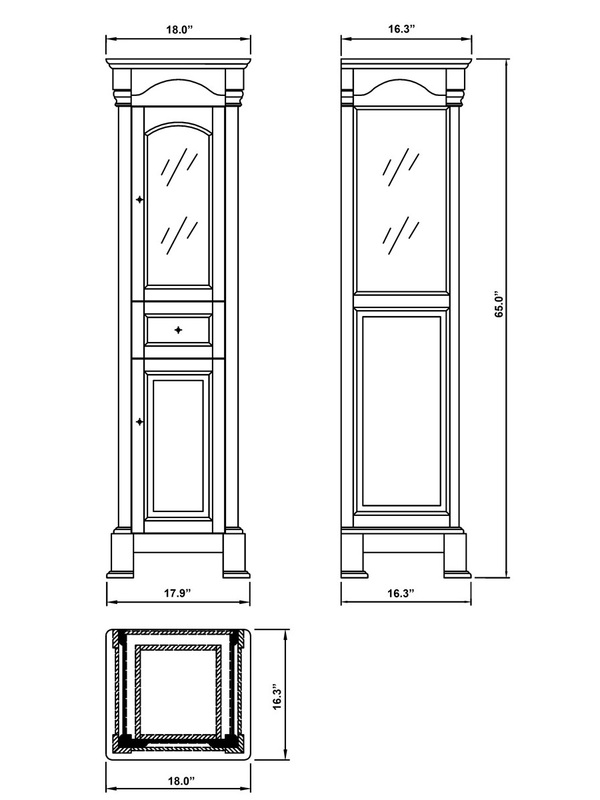 Optionally, matching framed mirrors and a matching linen cabinet are available to give your bathroom a complete traditional look.